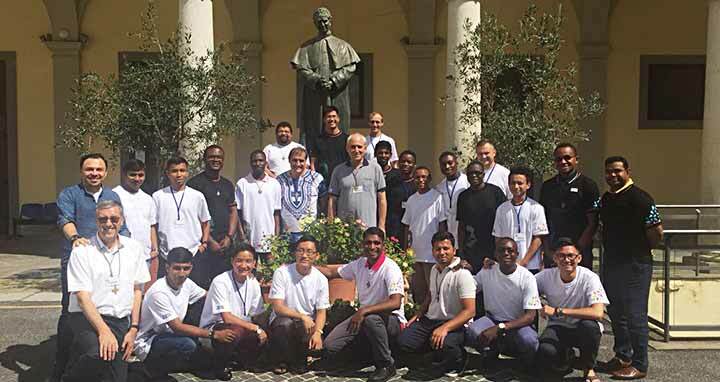 RMG, 9 September 2018 -- Four weeks before the 149th Salesian Missionary Expedition (Valdocco, September 30) the new missionaries are already gathered at the Sacro Cuore (Sacred Heart) General house in Rome for their immediate preparation course. 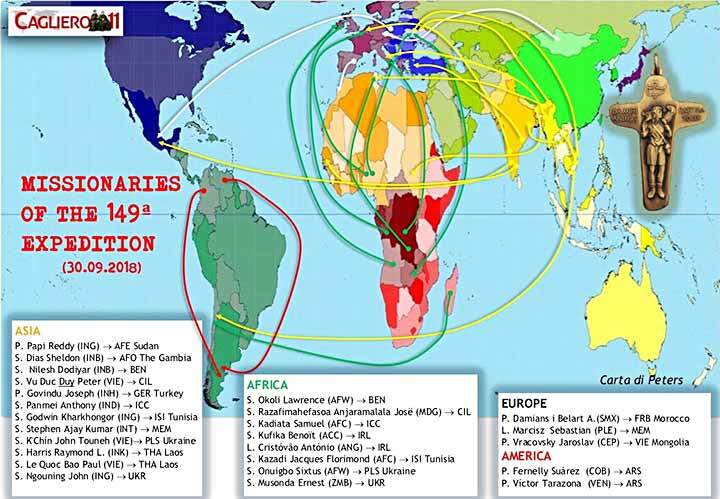 A short look at their list published in Cagliero11 (September 2018) confirms immediately that majority of the 2018 new missionaries are coming from the three growing regions of the Congregation - from Africa-Madagascar (8), South Asia and East Asia-Oceania region (12). Under the guidance and animation of the General Councilor for the Missions, Fr. Guillermo Basanes and his team (Fr. Gianni Rolandi - former provincial of Eastern Africa and Fr. Martin Lasarte - former missionary in Angola) the 24 new missionaries journey through the 4 main formation parts - Introduction nucleus (formation dynamics), Anthropological nucleus (cultures, counter-culturalism, languages, inculturation), Missiological nucleus (Motivations, Salesian Missions) and Salesian nucleus (Pilgrimage to Don Bosco Holy places. 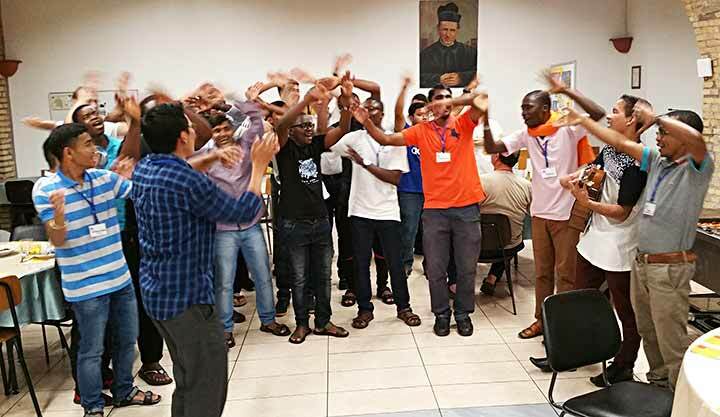 The whole new missionary Orientation program does offer also many meaningful personal experience through the encounter with the roots of Christian faith in Rome, with the roots of Salesian charism in Piedmont (North Italy). The missionary send off is scheduled as usual for the last Sunday of September in the Basilica of Mary Help of Christians in Turin at 12:00, during the Eucharistic celebration presided by the Rector Major. 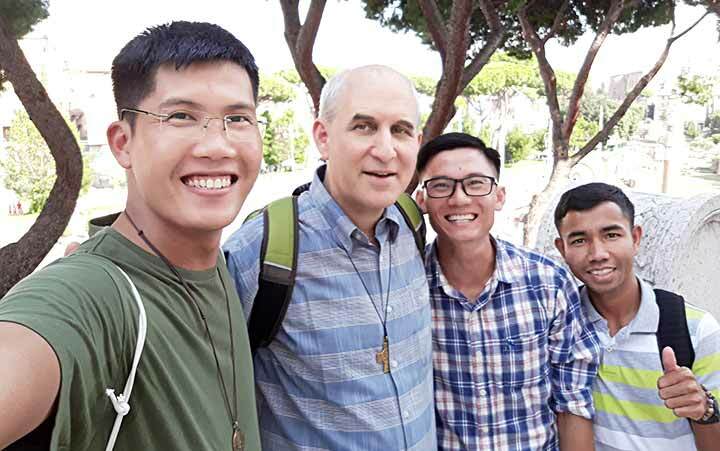 Among the 149th Salesian Missionary Expedition are again 3 young Vietnamese confreres - Cl. John K'Chin (destination Ucraine), Cl. Phaolo Bao (destination Cambodia) and Cl. Peter Duy (destination Chile). One 'senior' Czech missionary already living 3 years in Mongolia (VIE province), Fr. Jaroslav is also member of this expedition. 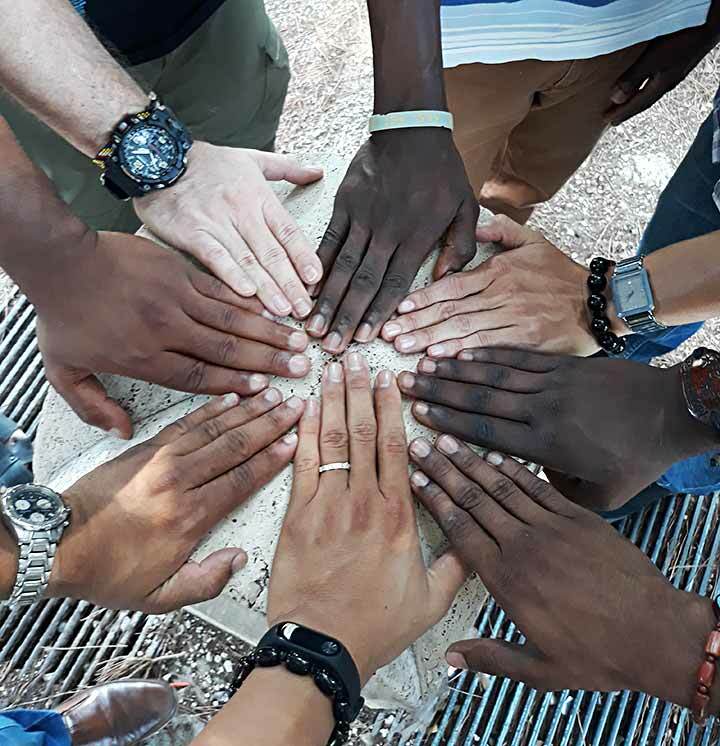 The new missionaries are greeting all Australasia readers and ask their prayers during these golden days of immediate preparation for the missions: 'All of us are fine. We are living together very happy moments. Pray for us! 4846(II)_"We run for the blind!" 4842(IV)_Formation is a matter of heart!